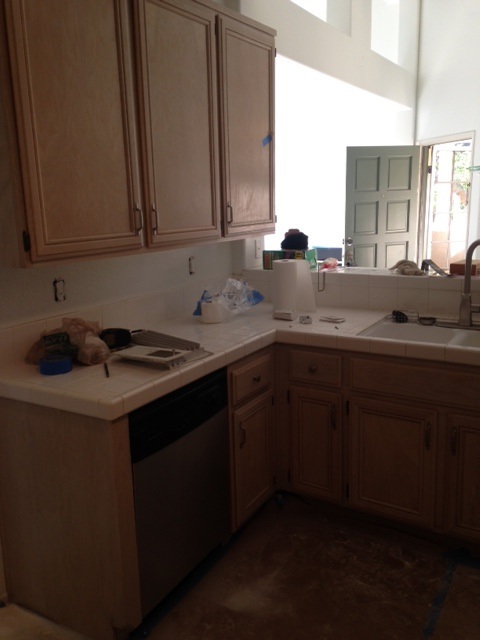 This Aliso Viejo home is getting some various remodeling upgrades. 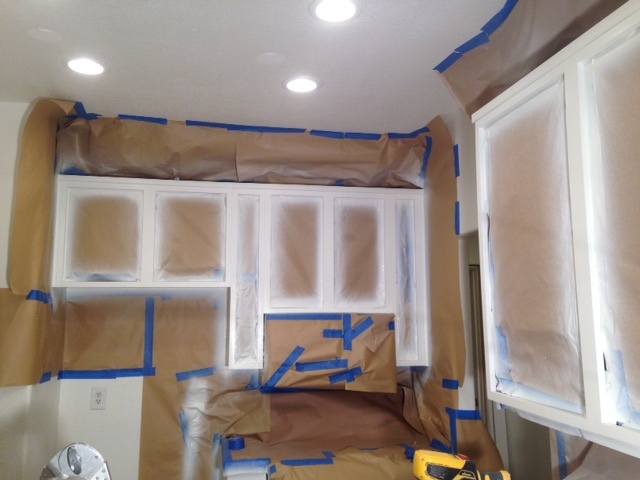 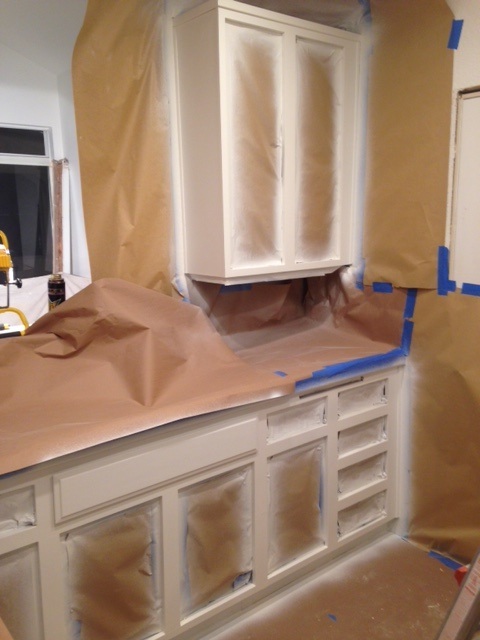 The kitchen cabinets are being repaired and painted. 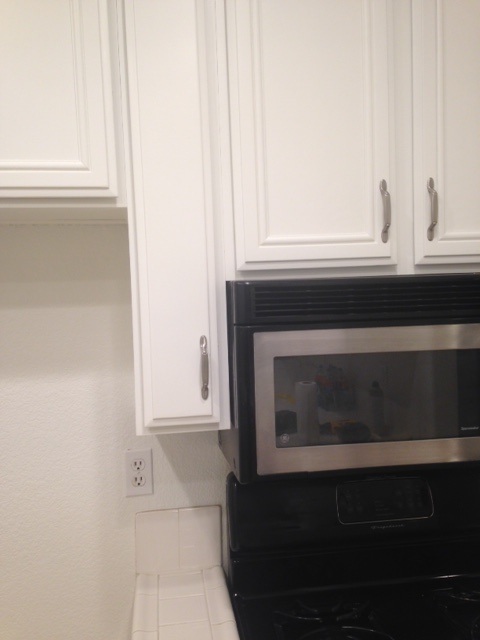 (there was a dog that chewed on parts of the kitchen). 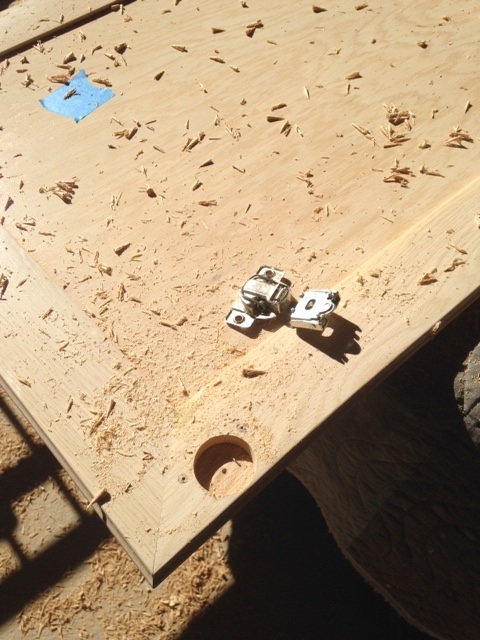 The hinges are being upgraded to concealed "soft close" hardware. 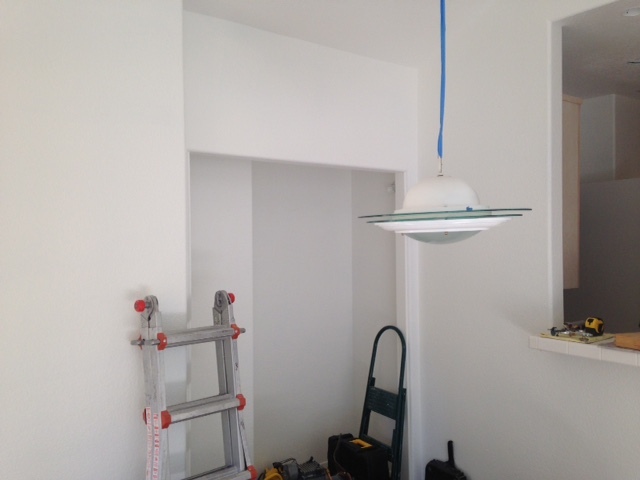 The dining area closet walls and ceiling are going to be opened up and have more flat surfaces, plus new baseboards and casing throughout. 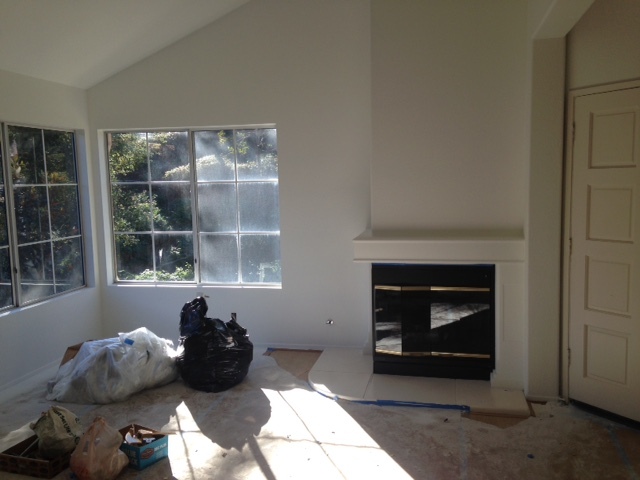 New fireplace hearth, and "honey do list" fix its. 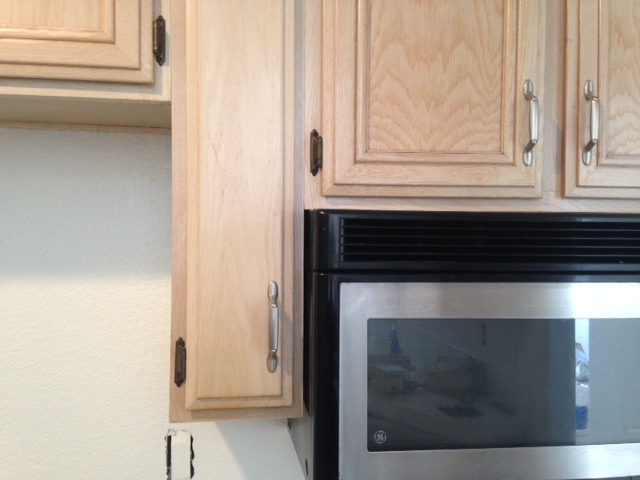 Kitchen cabinet doors were mortised for the new 35mm concealed "soft close" hinges, cleaned, sanded, chewed wood repaired/replaced on the face frame. 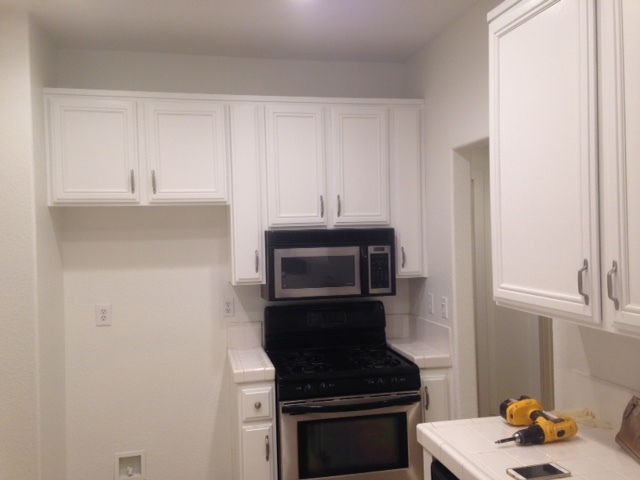 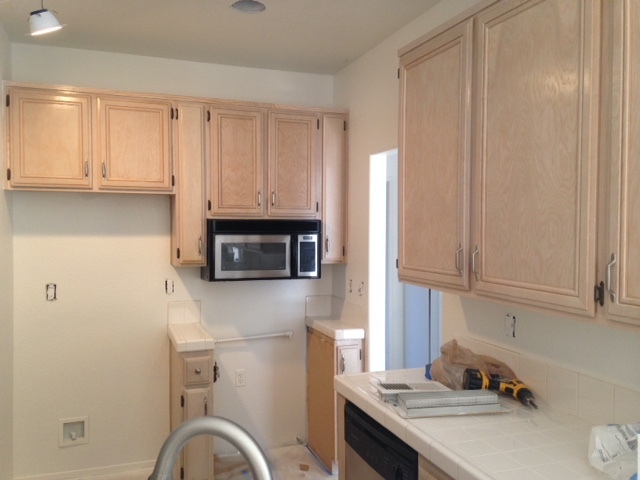 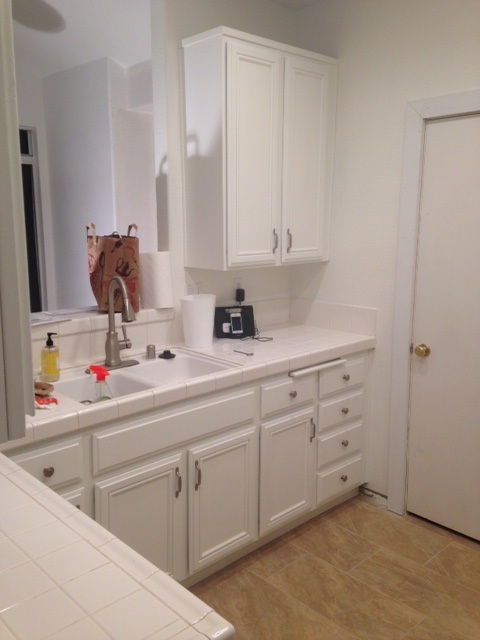 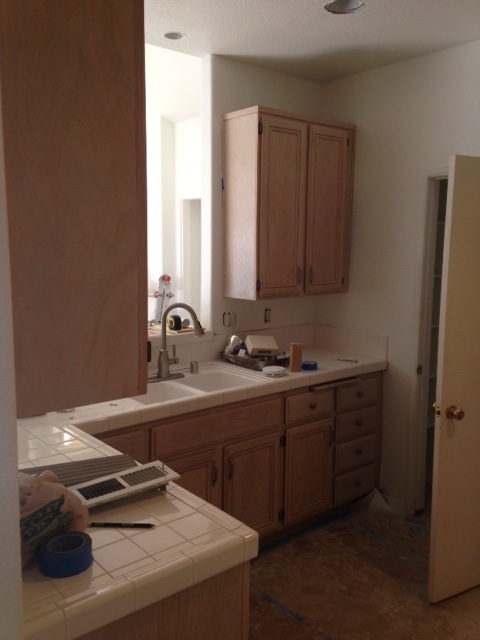 The cabinets and doors/drawers were painted white. 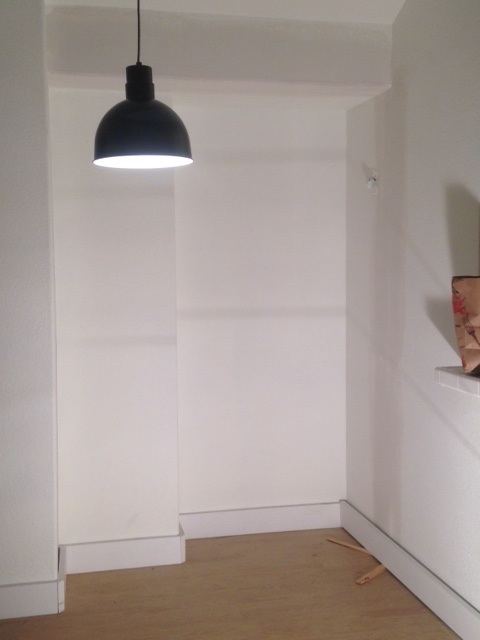 The dining area closet had wall framing removed and the ceiling raised to create more open space. 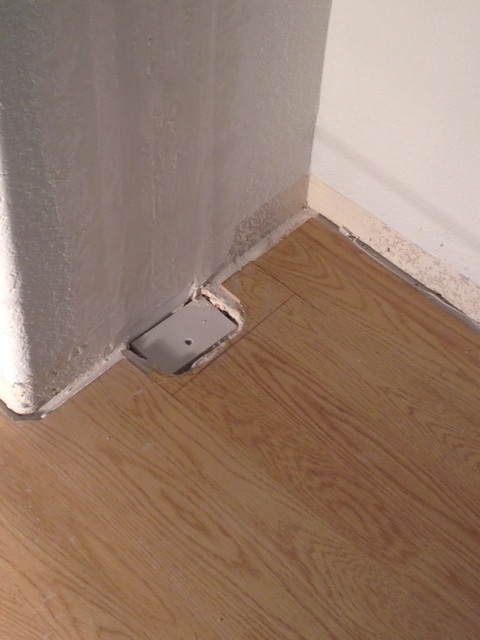 The wood laminate flooring had to be patched where the wall framing and jamb were. 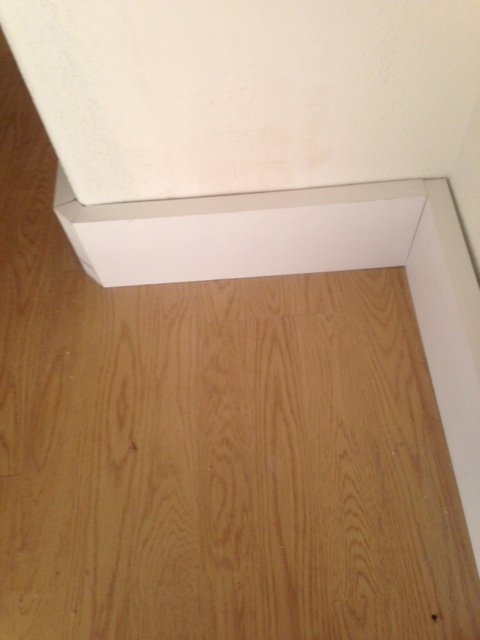 Base boards and casings were installed throughout home.